26 states took part in the 1840 census, including the new states of Arkansas and Michigan. The territories of Iowa, Wisconsin, and Florida also participated. Of the 17,063,353 people living in the United States in 1840, 2,487,355 were slaves. It took roughly $833,000 and 1,465 enumerators to complete the 1840 census, resulting in 1,465 total pages in published reports. The U.S. population increased by 32.7 percent from the 1830 census to the 1840 census. 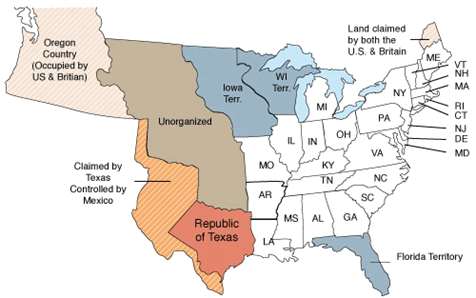 What was lost from the 1840 U.S. Census? The 1840 census was the first to not experience any major loss of records. 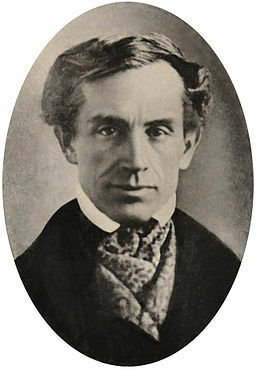 Inventor Samuel Morse was born in 1791 in Charlestown, Massachusetts. In 1849, Morse was granted the patent for the telegraph, which transformed long-distance communication. Morse sent the first inter-city message on May 11, 1844 from Washington D.C. to Baltimore on a wire funded by the U.S. Congress. By 1866, the first trans-Atlantic cable was laid connecting the United States to Europe. The standard Morse code system he also developed for communication uses dots and dashes to represent letters in the English language and the ten digits. Ireland’s "Potato Famine" forces large numbers of Irish immigrants to come the United States beginning in 1845. Frederick Douglass publishes Narrative of the Life of Frederick Douglass, an American Slave in 1845. January 23, 1849: Elizabeth Blackwell becomes the first woman to be awarded a medical degree.